Berlin is one of those cities you need to visit at least once in your life. Or twice, as it’s impossible to see everything in just one visit. From its infamous history to the quirky expats and the ridiculous nightlife, there really is something for everyone in Berlin. Different areas of the city have different atmospheres and bring different experiences, so it is worth taking the time to consider the best places to stay in Berlin. There is no one main centre of Berlin, so no one best place to stay. It all depends on your personal interests and what you want to get out of your visit. Do you want to visit historic sites? Are you interested in exploring the bars and clubs? Is shopping more your thing? Need some funky places to snap some Instagram worthy shots? Is the thought of sampling the local cuisine already getting your taste buds going? These are just some of the questions to ask yourself when looking at where to stay in Berlin. To help you plan the ultimate trip, I’ve put together this ultimate guide to staying in Berlin. We’ll explore some of the main areas of the city and I’ll share the best hotels I’ve stayed in. I’ve included places to stay in Berlin for all types of traveller – so whether you’re backpacking, on a budget or want to stay in complete luxury, this guide is for you! Here is a map of the eight areas we will look at. Berlin is huge. Certain neighbourhoods are walkable, but Berlin in itself is not a walkable city. Luckily the public transport is excellent, although it can take a while to get between parts of the city. That’s why it’s important to choose the right area! We’ll go over that below. Berlin has two airports: Berlin Tegel Airport (the main international airport) and Berlin Schönefeld Airport (mainly for budget European flights). Both are in easy reach of Berlin city centre by train or bus. It’s also worth mentioning that a new airport is currently under construction next to Berlin Schönefeld Airport, Berlin Brandenburg Airport. This airport is estimated to open in 2019/2020 and will replace Berlin Tegel Airport. To get to your accommodation, the easiest method is to get to the subway. Both airports have a U Bahn or S Bahn (these are the name’s of Berlin’s subways) nearby. If you’re arriving by bus or train, you’ll arrive at central stations which are all close to public transport too. It’s less than 3 euro for a trip, and you can switch between buses, trams and trains on the same ticket. I’d recommend Google mapping the route before you land, so you know exactly where to go. Berlin might be huge, but it’s easy to get around if you know what you’re doing. If you’re looking for a sophisticated area to stay, then look no further than Charlottenburg. Charlottenburg is an affluent district to the west of Berlin where you’ll find an abundance of fine dining establishments and high-end shopping. The main shopping mile is Kurfürstendamm, also known as Ku’damm – if you want to fit in with the locals! Here you will be impressed with the array of designer shops and classy cafes, where you can enjoy a relaxing coffee and experience the stylish backdrop. From shopping splendour to majestic grandeur, the Charlottenburg Palace is a must-see with its lavish grounds and rococo ballroom. The palace is around 15-minutes away from Ku’damm when travelling on the U-Bahn. Hop on the U7 at U Adenauerplatz for 3 stops, jump off at U-Bhf-Richard-Wagner-Platz and walk the 800 metres towards the palace. Where to stay in Charlottenburg? I’ve been to Berlin many times, once when I was backpacking across Europe. I stayed at the Smart Stay Hotel Berlin City on 148 Wilmersdorfer Str for a couple of nights in the dormitory accommodation. This hotel offers 4, 6 and 8-bed dorms, with mixed and female only options. It was an extremely comfortable stay and a complete bargain! Plus, it’s also really close to the U Bismarckstraße station. You can find the best rates here. The aletto Hotel Kudamm on Hardenbergstrasse 21 is the perfect choice if you’re looking for a budget hotel. 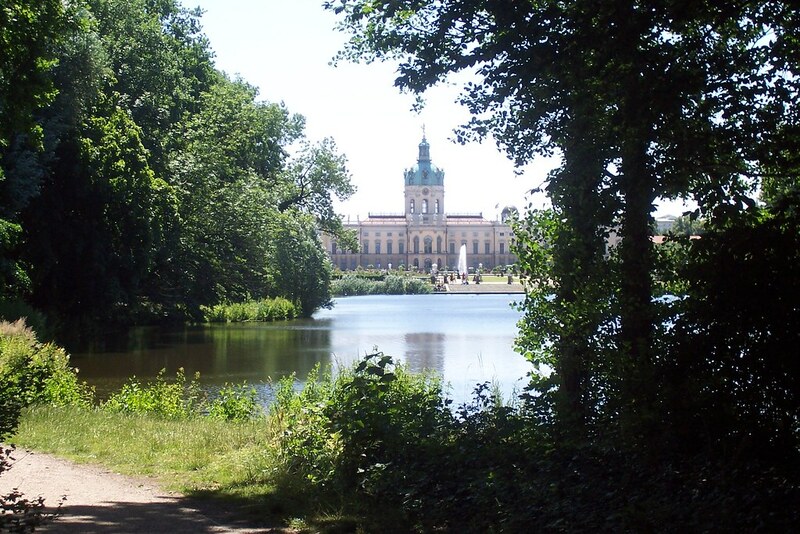 As after all, the less you spend on accommodation, the more you can spend on experiencing Charlottenburg. This hotel is located in the heart of the city and even has a large garden for pure relaxation. You can find the best rates here. One of the most luxurious hotels in the area, a stay at the 4-star Savoy Berlin Hotel will ensure the elegance of Charlottenburg extends to your accommodation. Treat yourself and enjoy all the luxury conveniences you would expect from a lavish hotel. Even better, Ku’damm is only a short stroll away. You can find the best rates here. Mitte is the most central district of Berlin, in fact, some would call it the heart. It is also where many of the city’s top tourist attractions are, such as Brandenburger Tor, the Reichstag, and Checkpoint Charlie. It’s pretty hard not to stumble upon one or two famous sites when staying in Mitte! Also, be sure to check out Alexanderplatz, with it its famous TV tower providing panoramic views of the city, as well as Potsdamer Platz, with its entertainment and shopping centre. You can easily spend a few hours in these squares, at least, so make sure you allow yourself enough time in your itinerary. Mitte is a great area in Berlin to stay if you are looking for a central location with easy access to shopping, entertainment as well as experiencing the rich history. The city’s chequered past combined with its new feel makes Mitte a great place to stay in Berlin. Where to stay in Mitte? For a quick, convenient base to see all the major Berlin attractions, you can’t go far wrong with citystay Hostel Berlin Mitte. The hostel is located between Alexanderplatz and Hackescher Markt, and also provides a breakfast cafe to grab a quick bite to eat before exploring the city. Choose from different sized dorms or double room. You can find the best rates here. If you like funky decor and an unusual arty feel, you will love the Arte Luise Kunsthotel on Luisenstr. 19. While providing budget accommodation, this hotel certainly doesn’t scrimp on the atmosphere. Plus, it’s location is ideal for exploring Mitte. You can find the best rates here. This hotel is definitely worth a look! 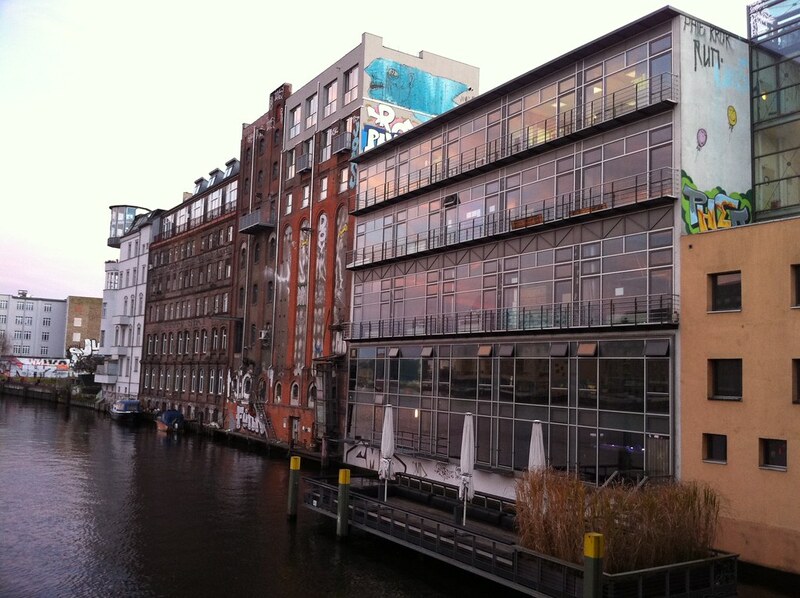 Why not push the boat out and stay at the Leonardo Hotel Berlin Mitte. All rooms are tastefully decorated for that luxurious feel, with the Superior Room also including a shower and bathtub. The hotel has a sauna and spa so you can really unwind and enjoy a relaxing pampering session! You can find the best rates here. The Kreuzberg district of Berlin is to the south of Mitte, and south of the River Spree. It is widely known as one of the hippest areas in Berlin, with cool cafes and great street food markets, such as Markthalle Neun. As the name suggests, this was the ninth market hall in Berlin, built in the late 19th century. Kreuzberg is a diverse place where your individuality and ingenuity is encouraged. It is home to creativity – whether that’s musicians or artists – as well as a large Turkish community. Think street art, street musicians and street food, and you won’t be far wrong. If you’re hip, young and trendy, it’s the place to be seen in! A good tip is to hire a bike so you can explore Kreuzberg to the full. And to stay in a hotel that is never too far from the action. Where to stay in Kreuzberg? When the name is as appealing as ‘three little pigs’ you can’t help but check out what this hostel is all about! The Three Little Pigs Hostel on Stresemannstr. 66 has recently been renovated, providing a comfortable base for you to explore the city. The price for shared accommodation in a dorm is pretty reasonable too. You can find the best rates here. The Hotel Prens Berlin on Kottbusser Damm 102 offers an economy double room option, meaning you don’t have to break the bank to stay in a superior hotel. Plus, with amenities such as free wi-fi and 24-hour room service, you really will have everything you need for a relaxing stay. Hotel Prens Berlin is popular with both business and leisure travellers and provides easy access to the city. You can find the best rates here. If you want to splash out on a hotel, I would recommend Angleterre Hotel. This is a sophisticated hotel that brings together modern and contemporary with antique furnishings and old-world touches. There is an on-site fitness centre and sauna, where you can treat yourself to a relaxing massage. Plus, there is a bar and restaurants for the added convenience of dining in. 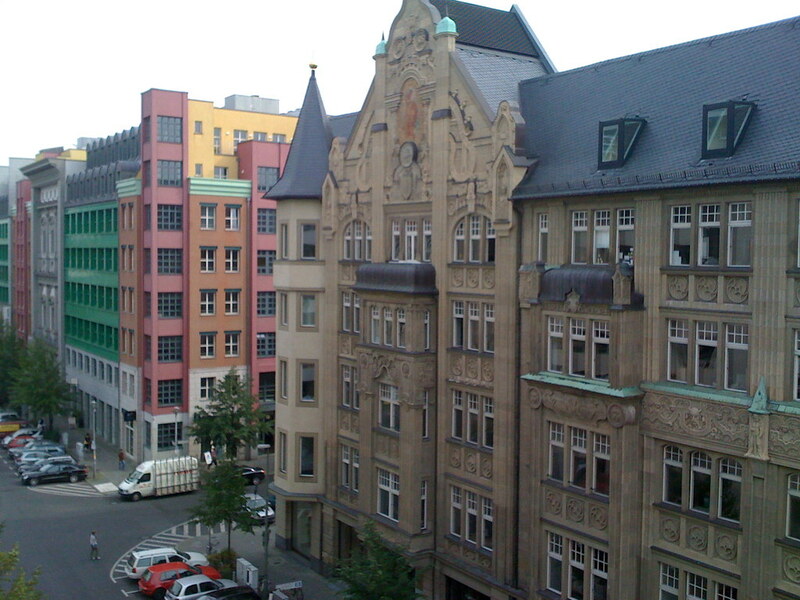 The hotel is situated right next to Checkpoint Charlie, so also benefits from a great location. You can find the best rates here. 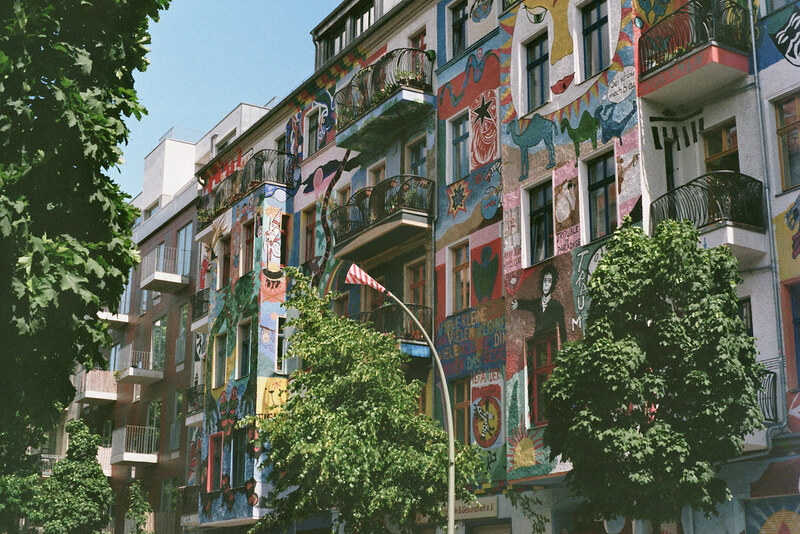 Friedrichshain is east of Berlin and is another creative, alternative neighbourhood where complete buildings provide the blank canvases for artworks. You will be surprised at how expressive and inspiring graffiti can be! One of Friedrichshain’s most famous street art displays is the East Side Gallery. The East Side Gallery can be found on Mühlenstraße, which is about a 13-minute walk from Berlin Warschauer Straße station. It is where the longest remaining segment of the Berlin Wall has been transformed into an art gallery by international artists and is renowned as a memorial of freedom. Aside from the art, you’ll want to check out the trendy cafes that line the streets of Friedrichshain. Try Simon-Dach-Kiez or The Frankfurter Allee – these were my two favourite streets for watching the world go by over a cup of coffee. 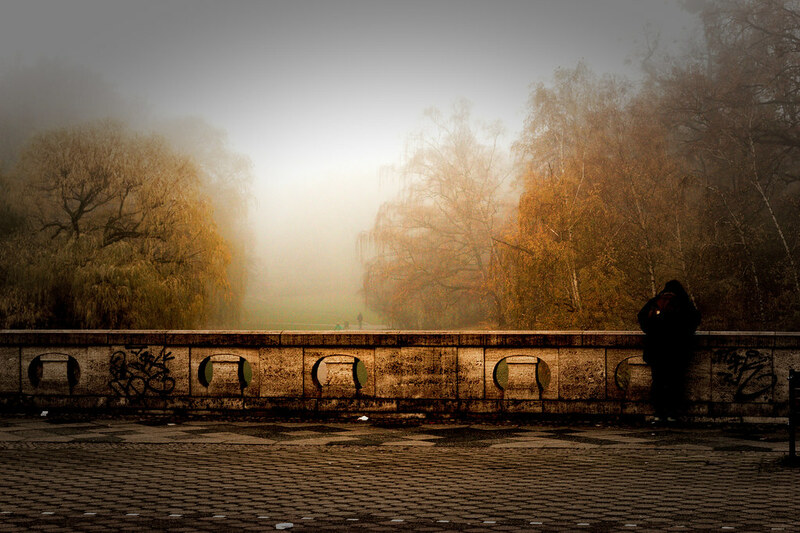 And if relaxation is what you’re looking for, take some time out in Volkspark Friedrichshain, a quiet park haven within the bustling district. There are plenty of activities going on as well if you’re feeling a bit active, especially in the summer, such as frisbee or volleyball. Where to stay in Friedrichshain? The U Inn Berlin Hostel was one of my favourite hostels in the world! It’s the hostel I mentioned in my story, When In Berlin. There’s actually nothing other-worldly about it – it’s your standard small hostel with basic dorms and reasonable prices, but they just seem to foster a great spirit of fun and community in there. The hostel is also really well run and everything works just like it should. You can find the best rates here. The ibis Berlin Ostbahnhof is just a quick walk from Ostbahnhof station, making it a convenient place to stay for exploring the city. You will feel very relaxed in this hotel and, as an added bonus, there is also a car park available. You can find the best rates here. When in Friedrichshain, why not consider an alternative, edgy hotel? The Michelberger Hotel on Warschauer Str. 39-40 is uniquely decorated and has a distinct, unique atmosphere. It has different lobby rooms where you can relax, and each has its own special style. You’re right in the heart of Friedrichshain at this hotel. And that means easy access to the nightlife and culture. You can find the best rates here. The Schöneberg district is to the south-west of Berlin and tends to be a quieter area than some of Berlin’s other districts. However, that’s not to say there is nothing going on! In fact, quite the opposite is true. Schöneberg provides a varied scene, appealing to many people. For families with children, there is the vast, leafy Schöneberger Südgelände park where you can go for a stroll or have a picnic. For the artists among us, there is the really cool Urban Nation along Bülowstrasse. And for those looking for a buzzing nightlife scene, Schöneberg is the place to be. Winterfeldplatz, in particular, is renowned for its vibrant bars and clubs. Schöneberg is also a hub for the LGBT community. You will no doubt notice the rainbow flag proudly flying high, or rainbow stickers in windows, welcoming the gay community. Where to stay in Schöneberg? For a different type of accommodation, have a look at Visage Appart. This studio apartment is located at Gustav- Müller Straße 36A and offers a double bed and shower. Facilities such as a toaster, oven and kettle are also included. This apartment is a good option if you are a solo traveller. You can find the best rates here. The ARCO Hotel is the perfect choice for shopping, restaurants and nightlife. You can find it on Geisbergstrasse 30, which is close to the Viktoria-Luise-Platz hexagonal place. The hotel has also recently been renovated, so you can expect a comfortable stay. Plus, you will get a free drink on arrival! You can find the best rates here. A stay in the 4-star, luxury Ellington Hotel Berlin will certainly make you go ‘wow’. As soon as you walk into the hotel and enter the lobby with its white, contemporary decor, you won’t help but feel impressed. But it’s not only the look and feel of this hotel that will amaze. The staff are also on hand to provide a top class service, making your stay even more prestigious. You can find the best rates here. 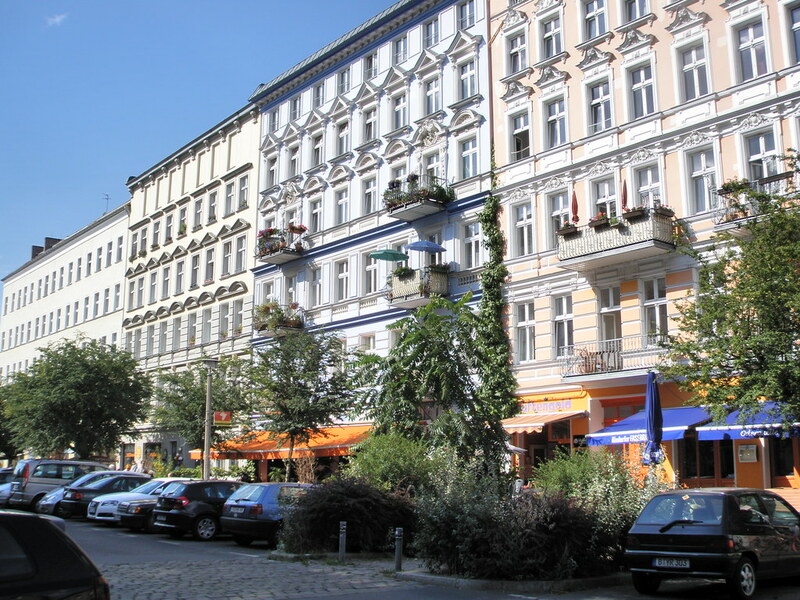 Prenzlauer Berg is to the south of the city and is most popular with young professionals and students as well as families. Picturesque tree-lined streets and trendy cafes provide the perfect setting for work-from-home parents and you will see plenty of professionals with their laptops. If you are passionate about vintage clothes and antiques, be sure to check out the Mauerpark, Berlin’s largest flea market – it seems to be where locals and tourists alike flock to on a Sunday afternoon! Mauerpark is also home to an outdoor music and entertainment space – including the infamous Mauerpark Karaoke. Every Sunday thousands of people enjoy singing and dancing – the atmosphere is incredible, and not to be missed if you’re lucky enough to be travelling to Berlin over the weekend. Where to stay in Prenzlauer Berg? The Pfefferbett Hostel on Christinenstraße 18-19 is a great option for backpackers. The hotel provides a 24-hour bar, as well as table tennis and table football, for when you want to enjoy some downtime or meet new people. You can find the best rates here. The MEININGER Hotel is only 70 metres away from the nearest station, Senefelderplatz, and so is extremely convenient. With free wi-fi in all rooms and all the basic amenities you would expect from a 3-star hotel, the MEININGER Hotel Berlin Alexanderplatz provides a comfortable, affordable, base to explore Berlin. You can find the best rates here. For the ultimate in luxury, you must take a look at the 4-star Vienna House. This prestigious hotel not only has the Green Globe certification for sustainable management but also offers first-rate facilities. Each room features in-room movies, a television as well as a separate shower and tub. You can also find amenities such as a salon, babysitting service and a spa and fitness centre at the hotel. Everything you need for a relaxing, pampering stay in one place. It’s perfect for a romantic getaway, I love this hotel! You can find the best rates here. Neukölln is another of Berlin’s hip areas and is located south-east of the city. There is a vibrant buzz about Neukölln, so it’s no surprise that it attracts artists, students and young professionals to the area. It’s said that the Neukölln district is always changing and developing, and even Google Maps can’t keep up! Make sure you spend time exploring without a guide or map – you never know what quirky cafes or restaurants you may discover. The nightlife here is also popping. It’s not the drink-yourself-to-death kind, it’s more boutique bars with lots of mingling and a bit of live music. Really cool place. Where to stay in Neukölln? The 2A Hostel on Saalestreet 76 is a home away from home, and perfect for the backpacker. 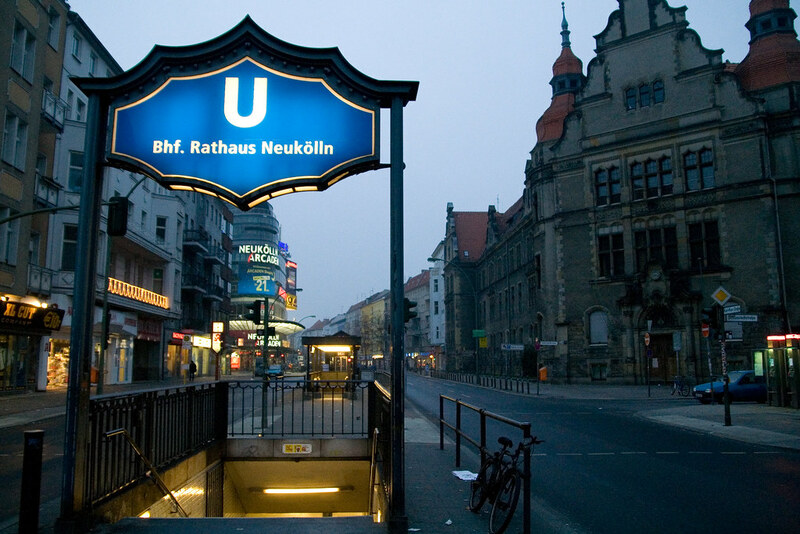 In the heart of Neukölln, you will easily be able to reach the city centre to explore. Choose from mixed and female only dorms. You can find the best rates here. The Days Inn is comfortable, affordable and in a convenient location. What more could you ask for? Breakfast? Okay, I hear you – yes, breakfast is included too. Perfect. You can find the best rates here. For complete luxury, try the Estrel Hotel. Estrel Hotel is located less than 500 meters from the metro station of Sonnenallee. Hotel facilities include a sauna, gymnasium, jogging track, and massage parlour. So there’s no excuse not to keep up with the fitness regime and relax at the same time. You can find the best rates here. Wedding is an up-and-coming neighbourhood in the Mitte area of Berlin. It attracts more of a mature crowd and is an alternative district to visit. But it still has a strong hipster feel, like many of the other Berlin districts. For a unique, artsy café experience, why not enjoy a bite to eat in a converted bus at Café Pförtner on Uferstraße 8-11, which was originally a bus repair station. It certainly provides a different café setting! Wedding is a place where new sits amongst authentic, and locals sit amongst tourists. However, if you manage to find solitude in one of the local park areas, you will escape tourists for a while. Where to stay in Wedding? Hotel Big Mama on Koloniestr. 24 is a hidden, but friendly hostel. It’s a great find for the first time Berliner, being close to the Osloer Strasse Subway Station. A coffee shop, shop and restaurant is also available on site for the ultimate convenience. You can find the best rates here. The Kolo 77 on Koloniestrasse 77 features a bright courtyard with deck chairs where you can relax outside. Fingers crossed for sun! A breakfast buffet is available in the morning to set you up for the day. You can find the best rates here. The Ruhige Ferienwohnung is an apartment on Sternstrasse 7, offering self-catering accommodation for up to 6 guests. So it’s perfect if you’re travelling in a group. The apartment has a fully equipped kitchen, plus TV with DVD player for entertainment. Free parking is also available. You can find the best rates here. And there you have it. A complete lowdown on the main districts in Berlin, and where the best places to stay are. Berlin is one of my favourite cities – I fully recommend you adding it to your travel bucket list. Which is your favourite Berlin district and why? Let me know in the comments below!